It has been a few weeks since my last entry I have been a little under the weather and needed a break from something and Blogging was just about the only thing I could cut LOL. My painting skills are limited but I have to say have come a long way since last year. 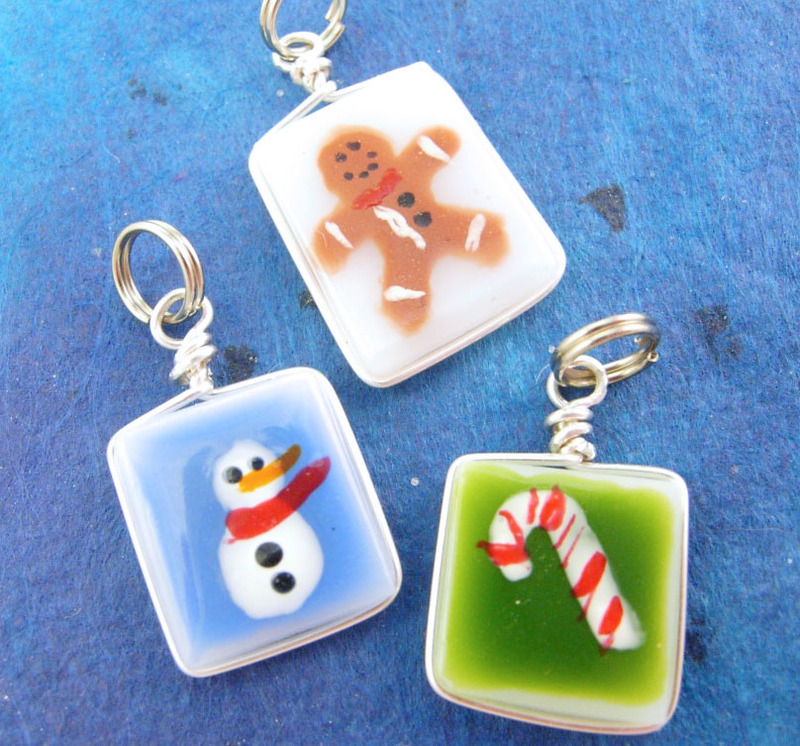 So I have done some teeny tiny Christmas charms. 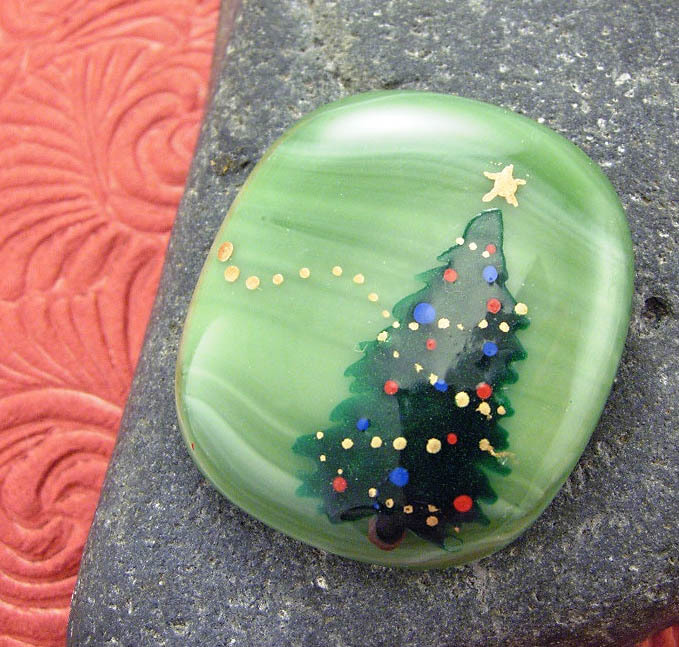 They are hand painted, fused, grooved and wire wrapped. I am actually looking forward to this next craft show One Saturday and Sunday, It is one I have done for 6 years and it huge, I have a ton of stuff. Wish me luck!